is a denim brand created by four creators who are engaged in creative activities of various fields. Designer JoongHo Choi is a Creative Director of Seventh Studio Project, who takes on the role of one of the four creators in the brand identity and space design. A common philosophy which the four founders believe in is that a studio (as a workplace) is the most important place that creativity is discovered and cultivated. 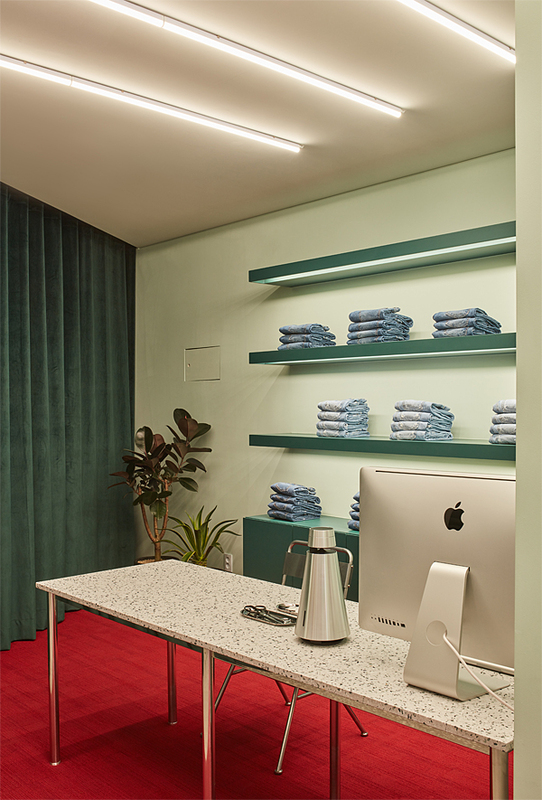 The space is also naturally composed of a small work space behind the partition with the jeans display. It is the outside appearance of SEVENTY STUDIO located in Haebangchon in Seoul. 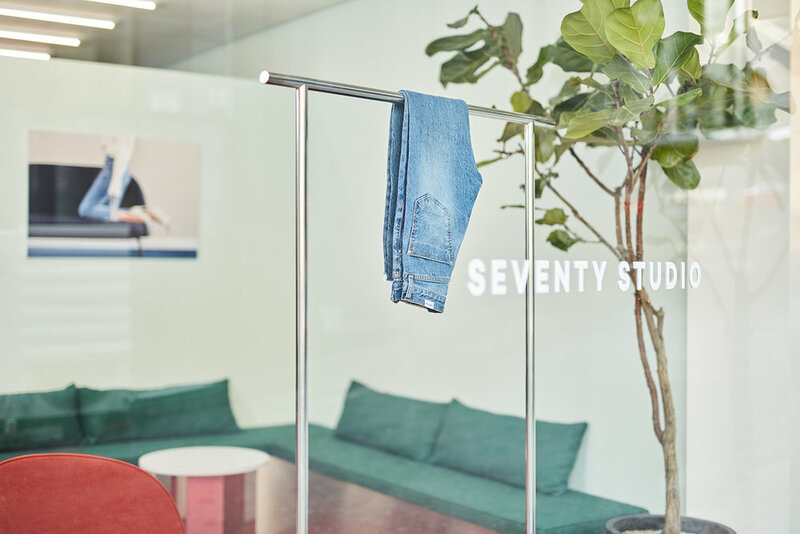 SEVENTY STUDIO is with the creative directors, a designer JoongHo Choi and IVY who performs various art activities in Korea as a singer and musical performer. Ji-Hoo Kim and Seung-gyu Jeong have been doing denim designs for a long time and are in charge of the designing and manufacturing part of the brand.